Brakes are key to your driving safety, but we are often asked questions about brakes feeling spongy, taking longer to stop or even grinding noise from the front or rear brakes. 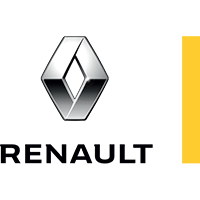 You and your Renault car or van are welcome to visit Renault Shrewsbury and Telford for a free brake safety check at any time if you are concerned with your brakes or braking performance. Renault Shrewsbury and Telford make a visual check of your brake discs and pads every time your Renault comes to our workshop for servicing, MOT, repair, warranty or diagnostic work. On a service we also measure the actual thickness of the brake disc and brake pads and compare that to the Renault minimum thickness standard to advise you on wear and replacement interval to keep you safe on the road. We also check the condition of your brake fluid and for any leaks from a brake hoses, and condition of handbrake cables – all for your peace of mind.